Computer errors can be very hard to resolve when you don’t know the cause of the problem. They can also be extremely frustrating for that very reason. This error is very unpredictable. The message “error loading operating system” will appear with the signs being a completely black screen. 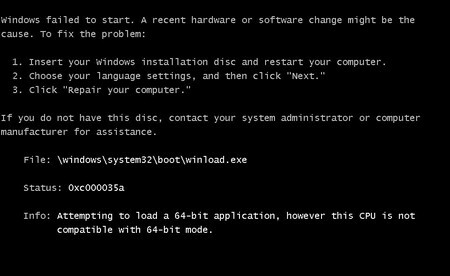 You may not understand the cause of the error because this error can be triggered without the normal suspects like new software downloads or updating driver issues. When the error loading operating system error occurs there is something you can do about it. Read on for more details on how to address the issue. These are several ways to address the issue of this error occurring. If you see the screen turn black and the Dell emblem is in the center, then the next step is to find the F2 or F12 button. These options will be in the left corner of the screen, The F2 function button is for the Boot Option. The F12 function button is for the Setup option. Take a gander at BIOS and verify if the hard drive is even being detected at this point. You may have to press one of these two keys several times before you are taken to BIOS. If you see the Hard Drive under the F2 or F12 menu and it is enabled run the Diagnostics option after you click f12. Run hard drive and memory tests. Make sure the important files on your computer are backed up. You can run the Repair Install to make sure the files are safe until you can get to back them up. A hard drive that is making some mistakes will continue to. Purchase the XP/ Dell OS System Repair disc. Reboot the system. The drive should run uninterrupted from the point it stopped. If there is any reason you do not feel like you are capable of troubleshooting and fixing the system issue by yourself, you can always hire a certified technician to help you come to some solution. Of course, this method will certainly cost you more money than if you attempted to correct any issues with your system yourself. However, sometimes the cheap way is not the best way. It may not be worth the risk to you. Weigh your options then come to the best decision for your system.